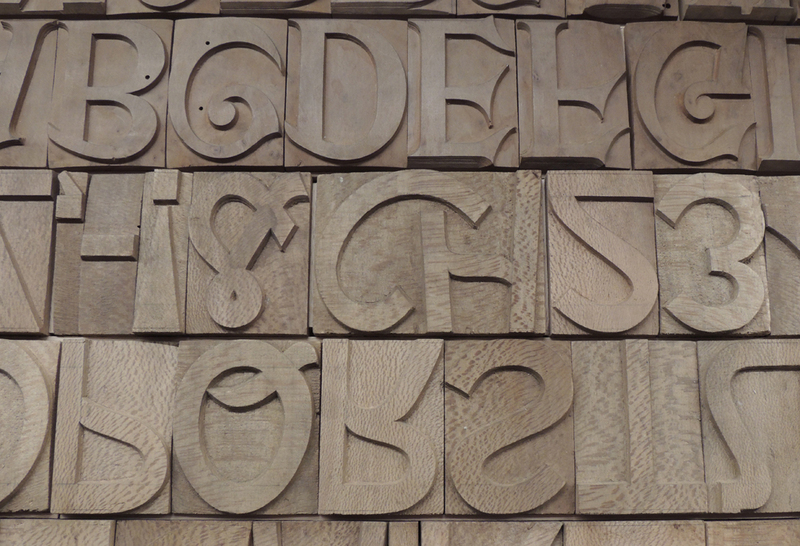 Wood type at the Tipoteca Italiana Fondazione in Cornuda. Photograph by Patricia Vining (2012). Food stall in Venice. Photograph by Patricia Vining (2012). 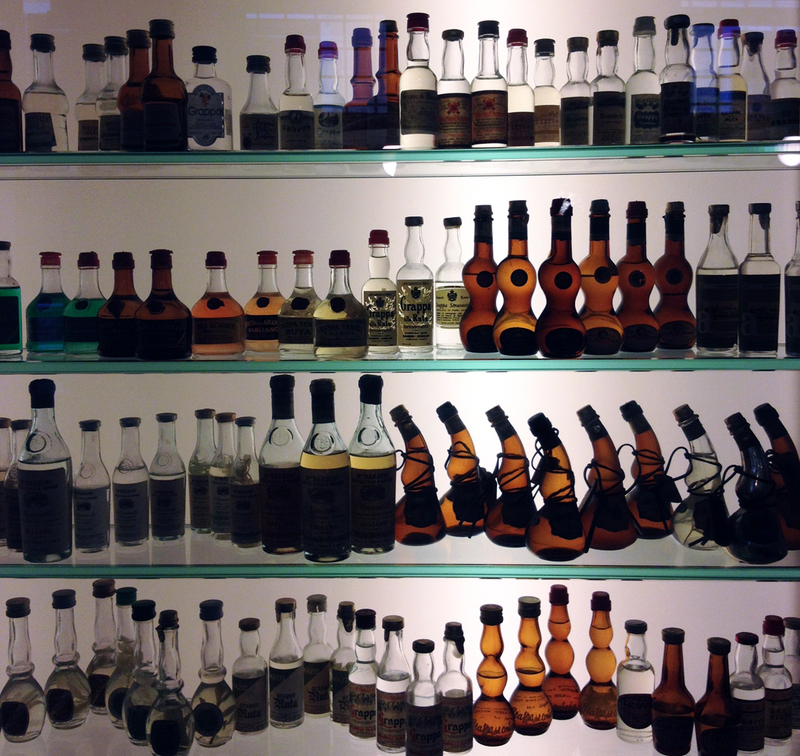 Display of antique grappa bottles at the Poli Museo del Grappa in Bassano del Grappa. Photograph by David Wolske (2013). The 2019 edition of Legacy of Letters will have the theme Tipo Cibo Vino. Our guest artists will be Peter Kruty and Sayre Gaydos of Peter Kruty Editions, based in Brooklyn, New York. If this sounds familiar, it is because we tried the same theme several years ago, but failed to garner enough support to run the workshop. We are trying again because we believe strongly in both the theme and the guest artists—and because both have received very positive feedback in my informal conversations with attendees of various graphic design and type conferences. And why not? Food and wine are an inseparable part of any visit to Italy. From the moment in 2009 that I revived Legacy of Letters with Alta Price as my partner, food and wine have been an integral aspect of each tour/workshop. But they had never been a formal part until Sandro Berra, the director of the Tipoteca and a gourmand, suggested in 2015 that we add cooking lessons to the Legacy of Letters itinerary. His suggestion was spurred by the establishment of Le Corderie, the Tipoteca’s own restaurant, located across the street from the printing museum. It was an idea that I immediately embraced, leading to the first attempt at Tipo Cibo Vino. Although the 2016 workshop did not run, Sandro and I have continued to think about the idea. Last year, as part of the 2017 Legacy of Letters tour and workshop with Erik Spiekermann, Sandro and I took another step toward integrating food and wine with type. Sandro organized our usual touring day in the Veneto—which we do before the letterpress workshop gets underway—so that it had a food/wine component to go with its usual lettering and cultural features. Among the places we visited were Cantine Santa Eurosia, the Casa Brunoro (Sede Confraternita Prosecco di Valdobbiadene e Conegliano), and the Cistercian Abbey of S. Maria in Follino. The experience—especially the visit to the Casa Brunoro—was marvelous. It convinced us that we needed to revisit Tipo Cibo Vino again in 2019. The itinerary for Legacy of Letters 2019 Tipo Cibo Vino is a refined version of the one Sandro and I crafted three years ago. A second gastronomic touring day in Venice has been added along with a visit to Rovereto to see Futurist art and literary works. Wednesday, July 3—TREVISO: arrival of Legacy of Letters participants; orientation dinner. Visit to the Museo Collection Salce for early arrivals. 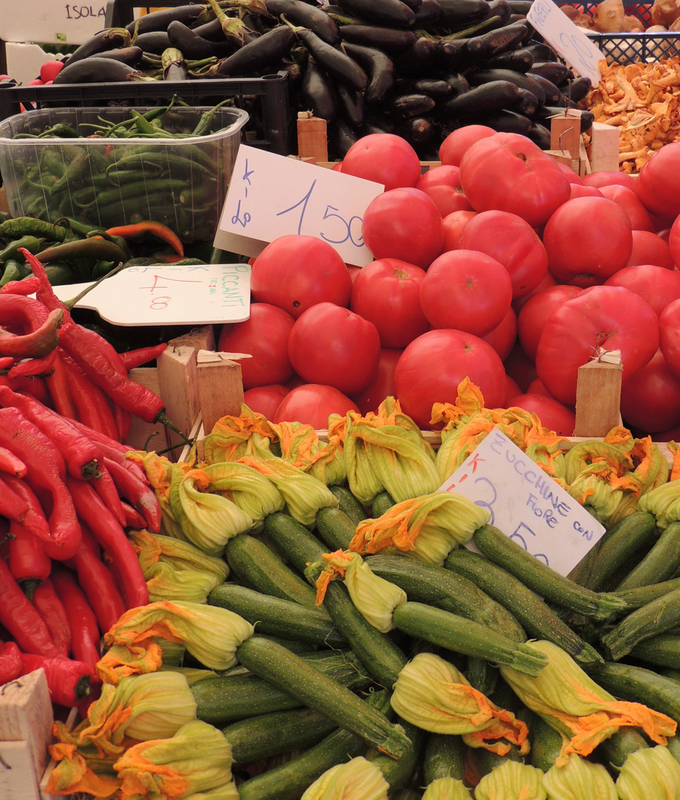 Thursday, July 4—Venice: visit to the fish market and the Fondazione Cini—and more. Friday, July 5—ROVERETO: visit to the Casa Depero and the Museo d’Arte Moderna e Contemporanea di Trento e Rovereto. Possible visit to Arte Sella on the way to or from Rovereto. Saturday, July 6—VENETO: gastronomic tour including visits to producers of prosecco and cheese. 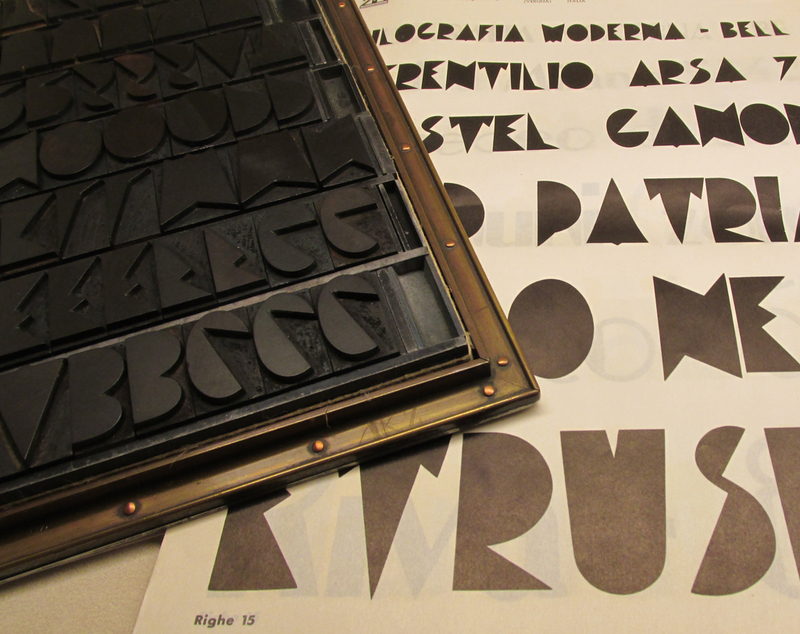 Sunday, July 7—CORNUDA: tour of the Tipoteca and introduction to setting type by hand. Monday, July 8—CORNUDA: cooking lessons with Cristina Colle, the chef at Le Corderie; wine tasting with Mauro Drago, owner of the restaurant. 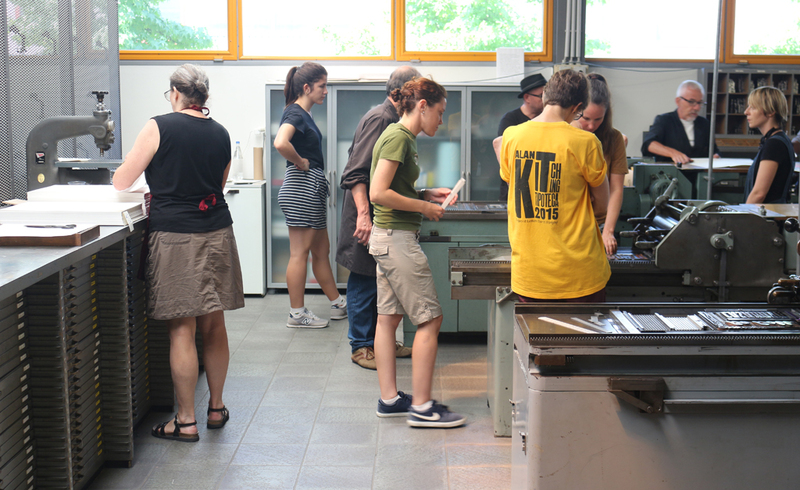 Tuesday to Friday, July 9–12—CORNUDA: letterpress printing at the Tipoteca with Peter Kruty and Sayre Gaydos of Peter Kruty Editions. Despite the strong emphasis on food, there will be plenty of time for letterpress printing during Legacy of Letters 2019 Tipo Cibo Vino. As with the workshops led by Alan Kitching (2015) and Erik Spiekermann (2017), there will be a half day devoted to learning to set metal type by hand and four full days set aside for printing. Peter, Sayre and I have planned a different project from the one announced for the previous iteration of Tipo Cibo Vino, one that will allow for more playfulness and experimentation. It will also encourage the use of imagery with type—which will be a first for Legacy of Letters. (But no polymer plates!) Food and wine will still be the subject matter. No prior experience or background in letterpress printing or typography is required to join the Tipo Cibo Vino workshop. Legacy of Letters has always welcomed anyone with an interest in calligraphy, lettering, epigraphy, signage, typography, type design, graphic design, printing, or art to take part in its tours and workshops. Spread from The Thrill Came Slowly by Emily Dickinson (Brooklyn: Peter Kruty Editions, 1996). Lesley Dill, artist. Peter Kruty and Sayre Gaydos are co-owners of Peter Kruty Editions, an award-winning letterpress workshop dedicated to both artist collaborations and commercial printing. The studio, located in the Sunset Park neighborhood of Brooklyn, has been featured on public television and cable television and even had a cameo role in a Miramax film. Recent projects include a gift book for His Holiness Pope Francis, a book with photographer Neil Selkirk, and letterpress contributions to a portfolio of prints by artist Ken Buhler. Peter, who teaches at the University of the Arts in Philadelphia, is a master printer with nearly 30 years experience. 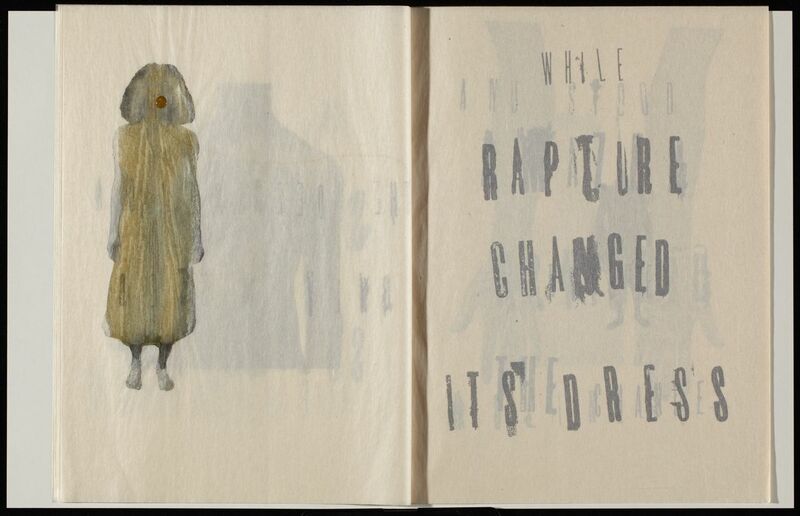 He is best known for his innovative printing of books for acclaimed contemporary artists and writers, among them Lesley Dill, Walton Ford, Susan Gosin with Dieu Donne Press, Eliza Kentridge, Louise Lawler, Mikhail Magaril, and Mark Strand. He studied letterpress printing at the University of Alabama under Richard-Gabriel Rummonds, the legendary proprietor of The Plain Wrapper Press in Verona, Italy. Upon graduation he moved to New York to work with Judith Solodkin at Solo Press, a studio that specialized in artist’s prints and books. In 1990 he established Peter Kruty Editions in Soho. Peter teaches letterpress printing at Pratt Institute. He has taught letterpress printing workshops throughout the United States, including at Columbia College in Chicago, the Minnesota Center for Book Arts, The Center for Book Arts in New York, Pyramid Atlantic in Washington, DC and the Penland School of Crafts in North Carolina. Sayre specializes in unique bookbinding and book structures. She studied book arts at the University of the Arts in Philadelphia. Sayre joined Peter Kruty Editions in 1996. She oversees the commercial aspect of the business, often designing items for clients as well as handling the printing. Sayre teaches bookbinding at the Fashion Institute of Technology. 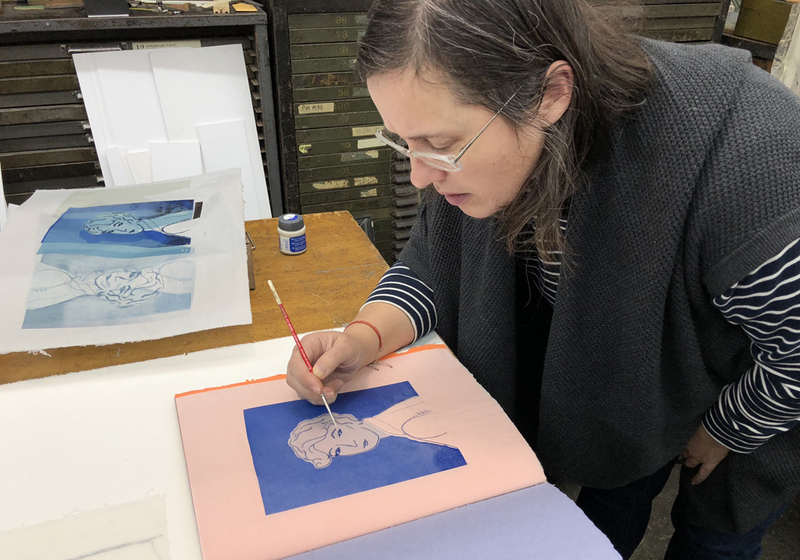 Sayre Gaydos curating a print. 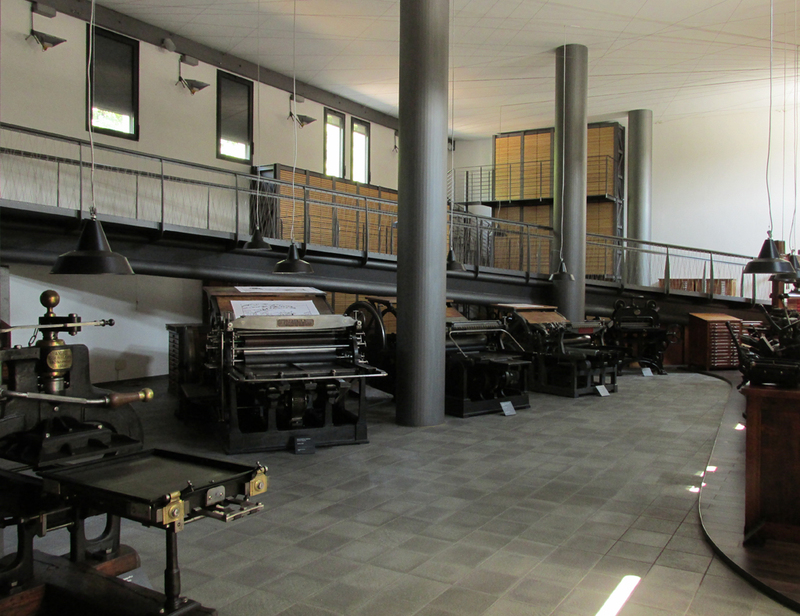 Printing equipment on display at the Tipoteca. Photograph by David Wolske (2013). 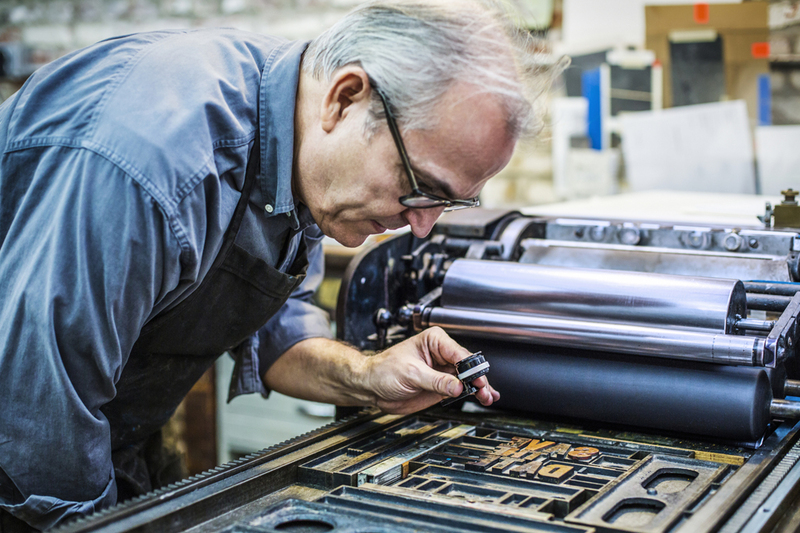 The letterpress workshop will be held at the Tipoteca Italiana Fondazione, a printing museum acclaimed for the depth and quality of its array of equipment, tools and documentary material—and also for the beauty of its installation. Among its holdings are handpresses by Amos Dell’Orto, a Rogers Typograph, a Benton punchcutting machine, punches by the Amoretti (former colleagues of Giambattista Bodoni), patterns for typefaces by Aldo Novarese, the Luigi Melchiori wood type archive, Bodoni’s Manuale Tipografico (1818), type specimens from Fonderia Reggiani and Nebiolo, issues of Il Risorgimento Grafico(1902–1936) and Campo Grafico (1933–1939), and much more. Art Deco wood type at the Tipoteca. Photograph by David Wolske (2013). Most importantly for the purposes of the Tipo Cibo Vino workshop, the Tipoteca has a rich collection of Italian type in both wood and metal. Many of the metal types—such as Quirinus, Fluidum, Landi, Fontanesi, Estro and Slogan—are little known outside of Italy. Among the wood types are several Art Nouveau and Art Deco designs. Sandro, a former Classics student, is the coordinating director of the Tipoteca. He edited A story of character: ten years of Tipoteca Italiana (2006) and is co-editor of the journal Tipoitalia. A self-described “typemaniac” (one word! 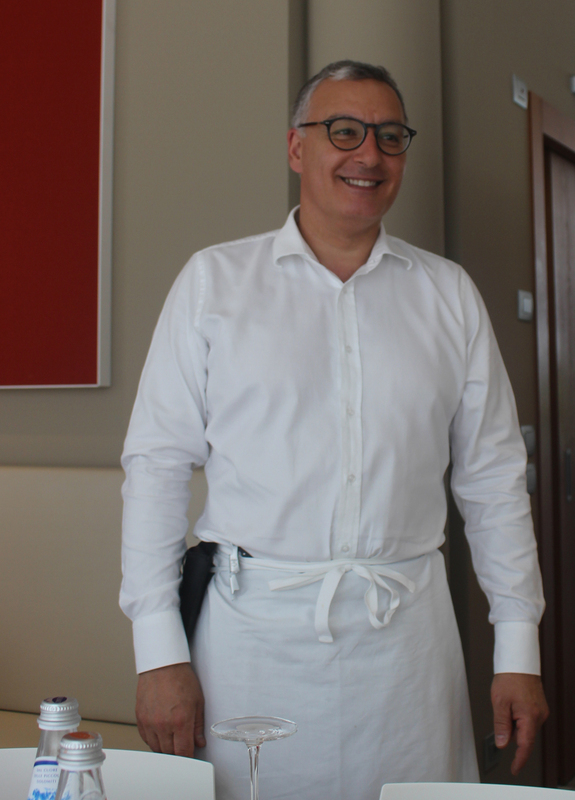 ), Sandro is also a gourmand with an extensive knowledge of wineries, food producers, and restaurants in the Veneto. 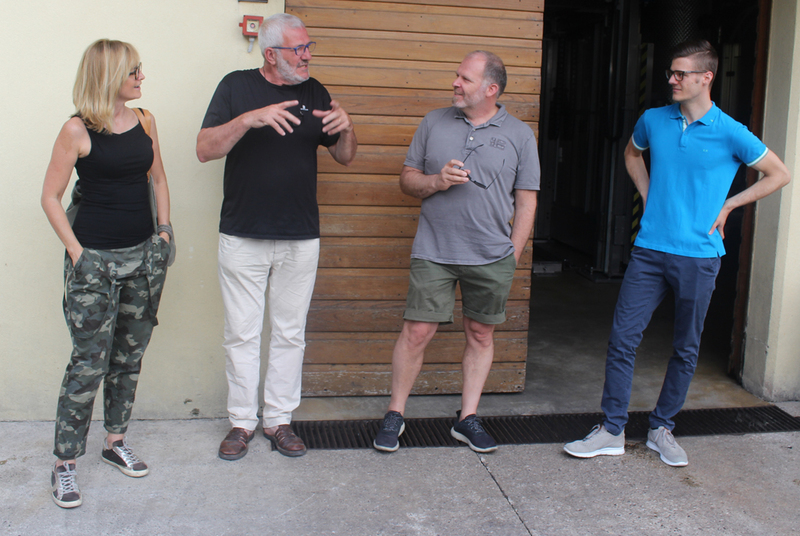 Sandro Berra (second from right) at the Santa Eurosia prosecco premises. Photograph by Paul Shaw (2017). Le Corderie was established by Mauro Drago and Cristina Colle in 2014. In its brief existence it has garnered high ratings both from Italian food critics and online travel sites. The restaurant is located across the street from the Tipoteca. Lunch during the letterpress workshop portion of Legacy of Letters 2019: Tipo Cibo Vino will take place at Le Corderie. Cristina Colle making pasta by hand. Cristina is the chef at Le Corderie. Formerly, she and her husband Mauro Drago owned the highly regarded restaurant Antico Liberal in Selvo del Montello (Treviso). 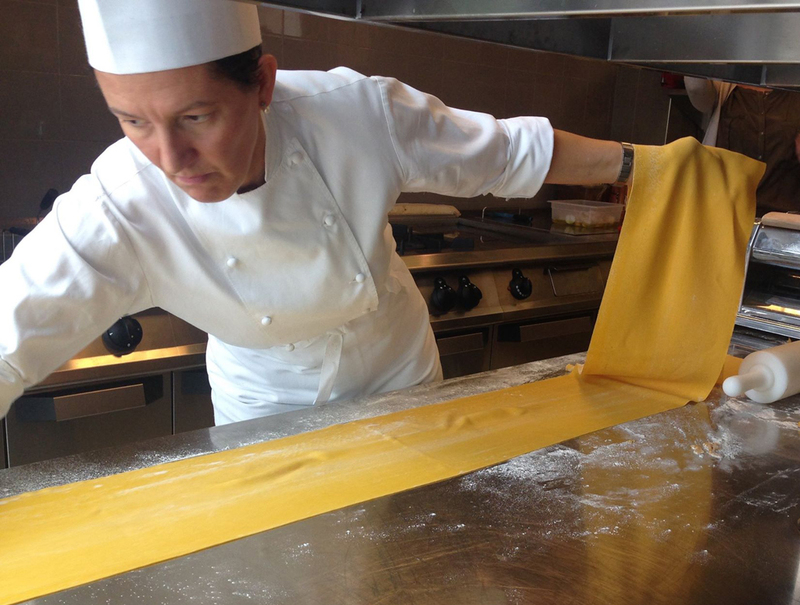 Cristina began her cooking career at the age of 14 as a student at the Istituto Alberghiero di Falcade. She is a proponent of the Slow Cooking movement. Mauro Drago at Le Corderie. Photograph by Paul Shaw (2017). Mauro owns Le Corderie, the restaurant associated with the Tipoteca. He is the husband of Cristina Colle, the restaurant’s chef. Scene from Legacy of Letters 2015 with Alan Kitching. From left to right: Pam Galvani, Alice Buda, Daniele Fachin, Tahlia McBride, Andrea Marks, Clint Harvey, Celene Aubrey, Lucio Botteselle, Laura Dal Maso. Photograph by Paul Shaw (2015). Legacy of Letters was conceived in 1996 by Garrett Boge as an opportunity for calligraphers, lettercutters, typographers and anyone else passionate about letterforms to study the history of the Roman alphabet in its place of origin. The tour was inspired by the famous student tours of Rome and Florence led every other spring by Prof. Michael Twyman and his colleagues in the Department of Typography and Graphic Communication at the University of Reading. 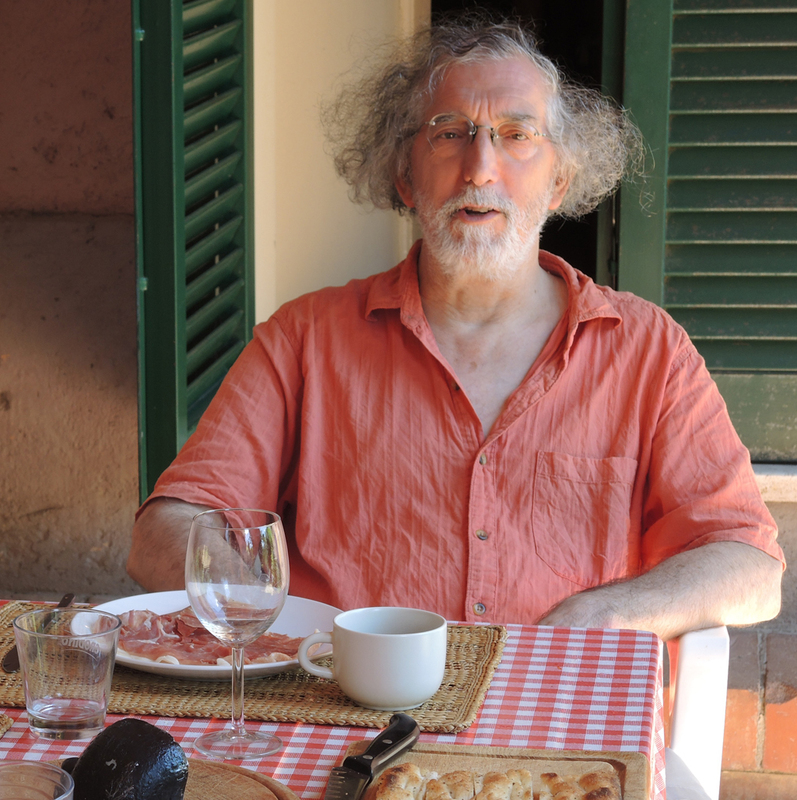 Boge invited Paul Shaw to join him as a co-leader of Legacy of Letters and the two organized tours of Rome from 1997 to 1999 and of Florence and Tuscany in 2000. In 2010 Paul revived Legacy of Letters with the help of Alta Price. Since then the tour has focused on cities in the Veneto and Emilia-Romagna regions and added workshops to the mix. So far, there have been four letterpress workshops, two led by Lucio Passerini of Il Buon Tempo in Milano, one by Alan Kitching of the Typography Workshop, and one by Erik Spiekermann; and one lettering workshop conducted by Tony Di Spigna. Following the successful conclusion of Legacy of Letters 2017, Alta Price retired. With Legacy of Letters 2019 Tipo Cibo Vino, Patricia Childers will take over her duties. Paul Shaw at lunch in Grottaferrata. Photograph by Bronwen Job (2014). Paul is widely known and respected as a guide to urban lettering. He has conducted semi-annual lettering tours of New York City for the Type Directors Club for over a decade; led lettering tours for TypeCon and other organizations in Atlanta, Baltimore, Boston, Buffalo, Chicago, Los Angeles, Montreal, Newark, Philadelphia, Portland, San Francisco, and Seattle. Paul has been a calligrapher for over 40 years and has designed 18 typefaces. He teaches the history of graphic design at Parsons School of Design and the history of typography at the School of Visual Arts. Since 2014 Paul has taught the history of type for California Rare Book School in alternating years. He has written about calligraphy, lettering and type for Letter Arts Review, Print, Eye, Baseline, Codex and other magazines. He is the author of Revival Type: Digital Typefaces Inspired by the Past (2017), Helvetica and the New York City Subway System (2009), co-editor of Blackletter: Type and National Identity (1999), and editor of The Eternal Letter (2015). 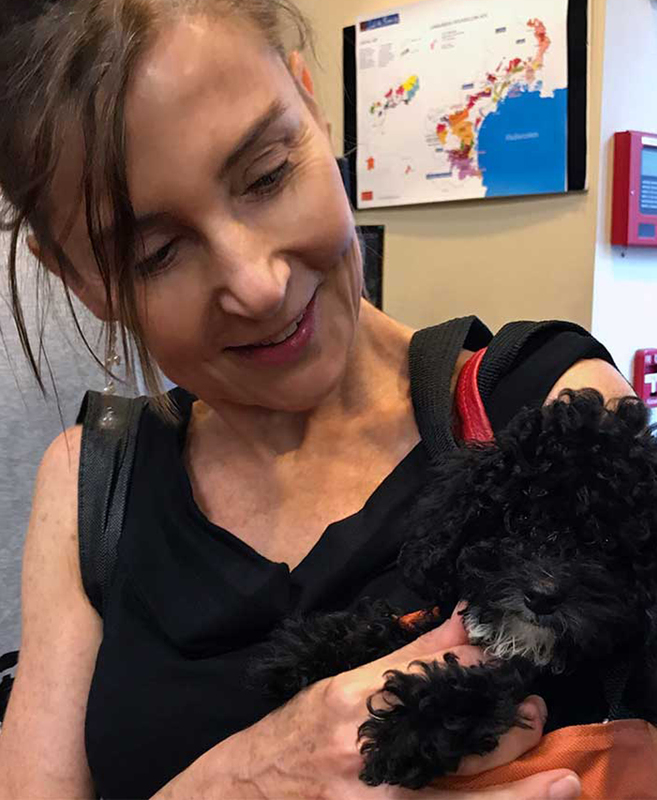 Patricia Childers with her dog Frida. Patricia Childers is a designer and educator in New York City. She is the founder of P Childers Design and teaches at the City University of New York (CUNY). Her design practice focuses on typographic solutions for communication problems, her research focuses on cultural voices inherent in typography. Her previous experience includes positions as varied as creative director of two universities and art director at Malcolm Grear Designers. Patricia has attended Rhode Island School of Design, New York University, and Vermont College of Fine Arts. The price of $3850 includes all travel during the workshop, lodging, breakfast and two special dinners, museum entrance fees, and all material costs. It does not include travel to and from Italy. An early bird discounted price of $3300 is available to those who submit a non-refundable deposit of $300 before January 1, 2019. Spouses and significant others are welcome to participate in the non-letterpress workshop events. They will be charged a per diem fee which will be determined once the exact details of the gastronomic and cultural tours have been confirmed. * two spaces have already been been reserved prior to this official announcement of Legacy of Letters 2019 Tipo Cibo Vino. To indicate an interest in joining Legacy of Letters 2019 Tipo Cibo Vino or for more information please email paulshaw@nyc.rr.com. Grazie.